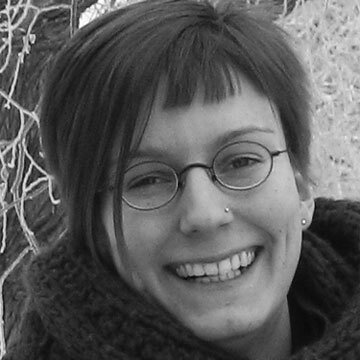 The recipient of the 2012 award for the best doctoral dissertation completed at a Canadian university in the field of Human-Computer Interaction is Dr. Uta Hinrichs. Her dissertation, Open-Ended Explorations in Exhibition Spaces: A Case for Information Visualization and Large Direct-Touch Displays, is an exemplary work introducing and studying novel technologies “in the wild.” Her research has helped improve our understanding of the interaction challenges and design issues for deploying large interactive displays in public settings, such as in museums and art galleries. Through four very thorough and carefully planned case studies, Uta’s dissertation examined questions such as how open-ended and self-guided information exploration can be promoted, how social and collaborative activities around large display exhibits unfold, how interaction and interface design of such exhibits promote or hamper social experiences, and how visitors use multi-touch gestures on walk-up-and-use large display exhibits. The research contributions in Uta’s dissertation, which are beautifully organized in a visual storyline, include: a demonstration, through installation and subsequent studies, that information visualization can be used as a means to promote open-ended explorations; evidence that serendipity is more than just luck and can be programmed for by incorporating rich visual and interactive features; and, the concept of an interaction context, i.e. that a given interaction gesture is affected by the gesture that immediately preceded it and also by the current social context such as who is present, what is being said and what visuals are on the display. In addition to its major scientific accomplishments, Uta’s work bridges many elements of science and the arts. Her museum installation was seen by over 30,000 visitors and was a finalist in the Canadian New Media Awards for 2008 in the category of Excellence in Culture, Lifestyle, and Arts. Her systems for serendipitous discovery in library settings have received significant interest from libraries across the world, will be featured at the Science and Technology Museum in Ottawa, and there has been a request for a permanent version by the University of Calgary library. Uta also holds a Diplom (equivalent to the MSc) in Computational Visualistics from the University of Magdeburg in Germany. She earned her PhD in Computer Science with a specialization in Computational Media Design from the University of Calgary in Canada where she worked at the InnoVis Group under the supervison of Dr. Sheelagh Carpendale. She is currently a Research Fellow at SACHI, the University of St. Andrews Computer Human Interaction research group. She has over two dozen publications, including journal articles, full and short conference papers, and technical reports. The award is determined through a juried process by a selection committee consisting of accomplished researchers in Human-Computer Interaction. This year, the jury was Drs. Regan Mandryk (University of Saskatchewan), Daniel Wigdor (University of Toronto), and Pourang Irani (University of Manitoba), chair of the committee.